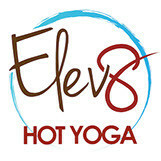 Start taking classes at Elev8 and other studios! Always bring your yoga mat, yoga towel & water. If you don't have one, we are happy to rent or sell you what you need. Linda is intense but she also motivates you to listen to your body but challenges those that are ready. This was a really great class. I felt challenged enough to want more and not discouraged. Shannen does a really great job stepping you through harder poses, which I totally appreciate. I look forward to taking more of her classes so I can grow in my practice. Definitely recommend! So great! She has such confidence in her voice! Really good class. Challenging without being impossible. Nice hot room too. Really good, fast paced class. The hardest class, but the best yoga Ive ever done. Sunny is good and what she does and someone to look up to for body goals! Shes crazy fit!